My wordpress one year Anniversary was a few days ago :p and I just realized this! As a celebration, I took my blog out to dinner and drank red wine. My fingers typed the night away and it was a very romantic-technological moment. I need to return to blogging again. I haven’t felt inspiration lately, not even randomness. I guess this post counts as randomness and it will not inspire you in any way – unless you want a quick read in the bathroom. Anyways, here’s a photoshop by me. 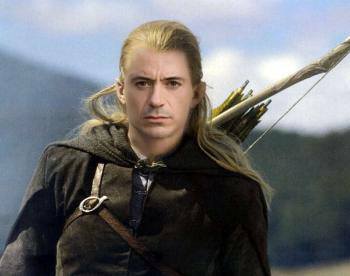 RDJ and LOTR! I know, right? More like, I disappeared and somehow found my way back to Earth.